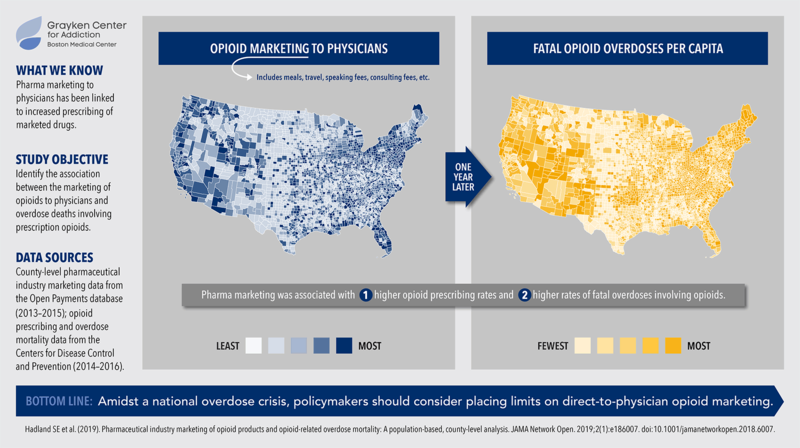 Researchers at Boston Medical Center have published what they claim is the first evidence that increased marketing of opioids is tied to more overdose deaths. The study, published Friday in JAMA Network Open, looked county by county across the United States between 2013 and 2015. It found that where pharmaceutical companies spent more on meals, travel and speaking fees for doctors, there were more opioid prescriptions — and more fatal overdoses. Lead author Dr. Scott Hadland says the influence is most powerful when frequent but subtle, as with free meals. "I don't think that the majority of doctors involved in this study would believe that their increased prescribing was intentional," he said. "Most doctors probably don't even realize that they might be changing their behavior in response to the marketing that they're getting." 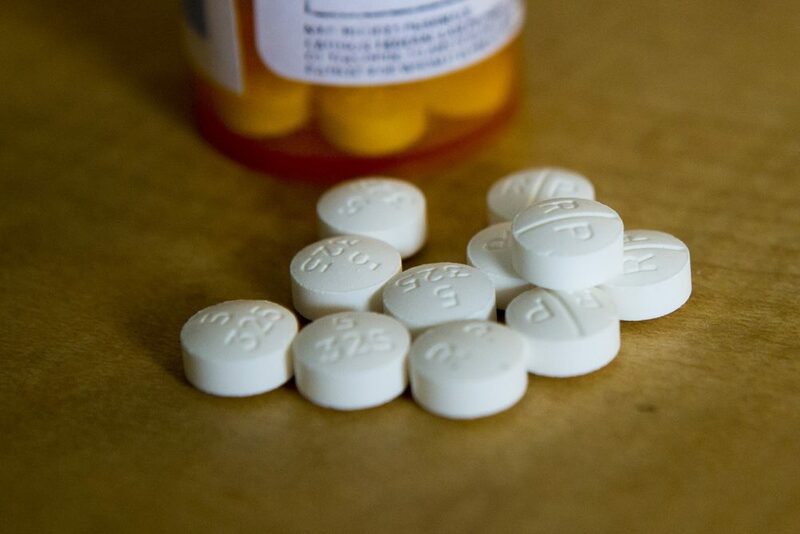 Between August 2013 and December 2015, researchers found there were 434,754 non-research payments made by opioid pharmaceutical companies — totaling $40 million — to 67,507 physicians across the country. Hadland says limits on pharmaceutical marketing would help, as well as opioid prescribing limits, but they can't be too restrictive or patients will switch to illegal drugs like heroin or fentanyl. 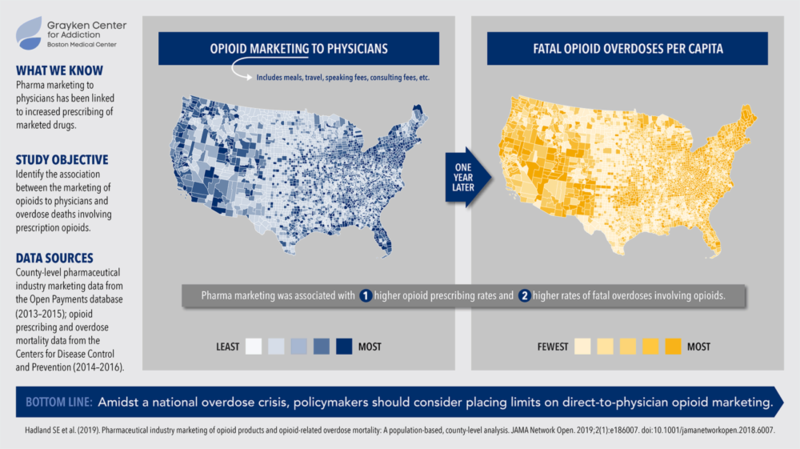 For the last few years, fentanyl has been present in the vast majority of opioid-related overdose deaths in Massachusetts, while prescription opioids have been present in under 20 percent of fatal overdoses.